Best Law FirmsUsing “purely peer review,” the leading law firms in the nation are named to annual Best Lawyers® lists. Florida Legal EliteAn elite roster of legal professionals nominated and selected by peer review. Attorneys are instructed to nominate others they would “highly recommend” to clients. Top 20 US VerdictsU.S. law firms and attorneys who have obtained one of the highest jury verdicts, settlements, court or arbitration awards in the Nation or an individual State. Super Lawyers Top 100A rating service of outstanding lawyers from more than 70 practice areas who have attained a high-degree of peer recognition and professional achievement. Best LawyersA nationwide legal resource known for using strict peer review procedures to name and award individual members. 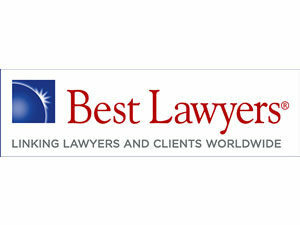 Best Lawyers® is widely regarded as the best source for finding exceptional legal talent. 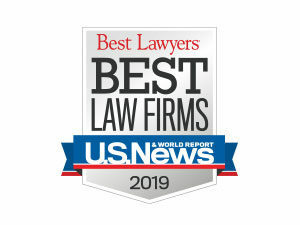 The Best Lawyers in AmericaBased entirely on peer-review, attorneys are selected to the list of Best Lawyers in America by gaining the respect of their fellow legal professionals through proven skill and expertise in their field of practice. The National Top 100 Trial LawyersAn invitation-only organization composed of the premier trial lawyers from each state or region who meet stringent qualifications as trial lawyers. Million Dollar Advocates ForumLess than 1% of attorneys across the nation are members of this exclusive forum who have won at least one verdict or settlement that exceeds $1 million. Avvo RatingAn Avvo rating is a 1 to 10 score used by Avvo.com – an online directory of lawyers – to rate individual attorneys based on the contents of their Avvo profile. Martindale Hubbell AV PreeminentA peer review rating organization of renown throughout legal spheres. An AV Preeminent® Rating is the highest possible rating granted by Martindale-Hubbell®. Super LawyersLess than 5% of all practicing attorneys in a state will be named to the annual Super Lawyers® membership listing, marking this title as one of the most prestigious. South Florida Legal Guide Top LawyersThe South Florida Legal Guide publishes a listings of Top Lawyers and Top Law Firms. Fill out this short form and we’ll contact you soon. For a FREE consultation, simply leave your details below and we’ll contact you soon.